I have a new post on handouts that I have made for my students. See that here. The 2017 Yoga show was awesome. I felt privileged to be sharing and learning with my many yogi and yogini friends. I am passionate to learn and help people learn more about the subtle and glorious interpenetration of the human mind, body and spirit. It is my goal to foster healthy and vigorous scientific discussion about movement, brains, learning and thinking in humans. The goal is that you would drive the conversation. On the appropriate page, ask questions related to one of the areas above. I am happy to tackle the questions, but hope that people with expertise and experience would also contribute to the discussion, and respectfully disagree, correct and teach when that is needed. 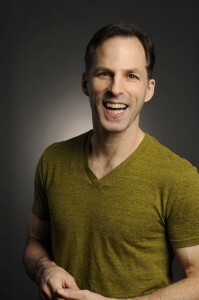 Blake Martin holds a PhD in Kinesiology and a Graduate Diploma in Neuroscience from York University, a B.F.A. and M.A. in dance, and a bachelor of education. His doctoral research was in neural mechanisms of attention when trying to perform more than one movement at a time. Blake has danced with Kaeja d’Dance and Motus O Dance Theatre and is a founding board member of the Pulse Ontario Dance Conference, a province wide initiative uniting secondary dance educators and students with professional dance artists. Dr. Martin is a visiting fellow in the Accelerated Learning and Retention program at DRDC and teaches in York University’s Dance Science Certificate program, as well as speaking provincially, nationally and internationally on issues related to yoga and the brain, arts and the brain, anatomy, and classroom management. He is a respected teacher in Traditional Thai Massage, a long distance runner, and a martial artist for more 30 years. If it moves and thinks, he likes it. learn more about Blake on LinkedIn and ResearchGate and see my chat with PranaLife founder Asia Nelson. Caelah, I love the west coast, and look forward to heading back that way to teach again. I will let you know when I am heading out there. Hi Blake! I am so happy to see this website being born as I am big fan of how you are able to bring anatomy to life. 1. Will you have some videos explaining things? For me this is helpful as you are animated in your stories and drawings. 2. Where should I post questions? I have one that I will post below, but a specific page for new questions is needed…or I have missed where it is. ….my question – of course is about the pelvis this week! The pelvis is made up of four bones arranged in a ring. These bones are the left and right os coxae (hip bones), the sacrum (five fused vertebrae at the bottom of the spine) and the coccyx (tailbone). The hip bones or os coxa are comprised of three fused bones: the ilium, ishium and the pubis. I have a couple of answers! 1) I certainly intend to do some videos. I just wanted to get this site launched in advance of the 2013 Yoga Show in Toronto, and so I am basically trying to build my house and live in it at the same time. Because the body is necessarily about movement, video is a great medium for clarifying things. 2) Again, with respect to where to post a question, living and building! I am not entirely sure how I want this to work, and it will evolve with the way people use the site. I have just created an ‘anatomy and physiology’ page, and will do the same for neuroscience stuff shortly. I hope that people will ask under the correct page. I will leave your question here for the time being, but copy the text to the doctorblake anatomy and physiology page to kick start the discussion. I can always move things later thanks to a great wordpress plugin (Tako Movable Comments). I am really figuring all of this out as I go, and will appreciate feedback and requests such as yours. The answer to your hip question will be on the anatomy and physiology page. Congrats on the new website, Blake! Looking forward to it becoming full of fun dance-brain-yoga-neuroscience content :). Thanks Jane! I will try to see where people have interest. This is an open invitation to my students and colleagues to join in the dialog. I was in your class at the Toronto Yoga Conference on Balance, Community and Teaching….which I really enjoyed. I actually found out that I was doing a couple of things right even if totally by accident! Anyway I recently had a student who has been a dancer all her life, ask me about the role mirrors can play in practicing yoga. We have some mirrors in our studio but they are not full (body) length, nor the length of the walls. She obviously has used mirrors to study herself in dance and I was wondering whether they were a useful tool in learning yoga as well. During your presentation you spoke about hands-on adjustments removing the student from their inner work in asana and I wondered whether mirrors would have the same effect? I know from an ego sense they are not a good idea but can people connect what they are seeing to what is happening physically? Again, I thoroughly enjoyed your presentation in Toronto and hope to see you there again! Hi Nancy! Thanks for your kind feedback and your awesome question. I am moving this discussion to the learning and cognition page, and you can follow the link here. What are your thoughts on the effects of cellphones on our bodies? I’ve been having issues with my right hip flexor for a year. It obviously gets better when I do my stretching and exercises, but I wondered if the fact that I keep my iPhone in my right front pocket might play a role, since the discomfort emanates from the same place that my phone sits in my pocket. Have you read anything that has influenced where you keep your phone? Thanks for the question. It inspired me to write a full post which can be found here. Does faith reside in the brain or the heart? As a neuroscientist, do you believe the brain to be a transducer or a generator? Perhaps both? As a man of faith, where does one determine mind to begin? These questions are sincere as I have experienced through meditation that I am not what I think, that I cannot determine where some perceptions originate and that sometimes I can perceive the thoughts or emotions of others without being physically near them. It leads me to suspect that consciousness, awareness reside beyond the cerebral organ itself. Spiritually, I feel connected to and informed by a source greater than the grey matter I am currently renting. Your thoughts, Headley..? This is a remarkably challenging question. Thank you so much. I have tried to address some of your points, and I hope it generates thoughtful discussion. See my response here. Thank you for your meanderings in the 1pm The Brain In An Asana session at the yoga conference on Saturday April 1st, 2017. I have been doing and teaching yoga for some while. This session is helping me understand both myself and students better. The material is very thoughtful. Last year I attended your ‘Never Not Broken’ session also at the yoga conference. It continues to be helpful. Should you continue to return to the conference, I’ll be back. I am really happy the session was profitable. As I said to the class at the beginning, I had an existensial crisis just hours before the session, and started pulling it apart, so I am surprised I said anything coherent at all. The conference sometimes gets me to do a session on yoga for movement challenged populations, and that might be a good place for us to connect at a future show. I like aging people. I am planning to be one. If you have particular questions or ideas, I would be happy if we could continue the dialogue.